Is an update of the most popular air cleaners on the market. Compact design, with a higher flow, 2000 m3/hour. Can be run at two speeds. The H13 filter, which meets the asbestos requirements and is provided with child protection. Equipped with double warning lamps with signal. Red lamp for leakage – worn filter, orange lamp for 90% blocked filter. The air outlet is directed 90° from the inlet and is fitted with an outlet connector 254 mm in diameter for connecting the evacuation hose (8 m max.). The wheels are of the “non-marking type”, puncture-free and lockable. 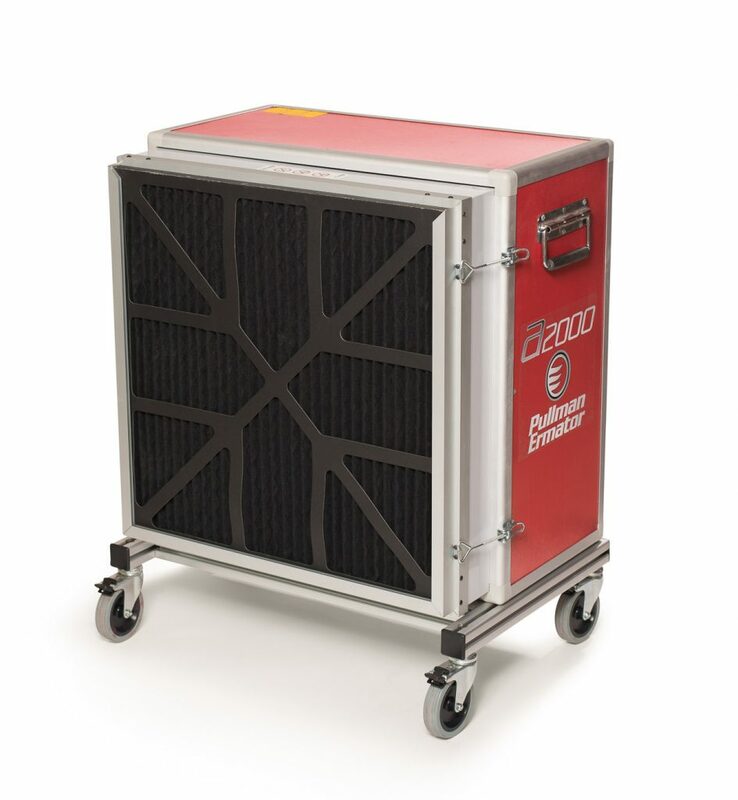 The air cleaner is equipped as standard with an hour counter and an extra socket, and can also be equipped with inlet connector, transport protection and carbon filter.